The Test Blanket Module Program Committee gathering this week in Cadarache. ITER will provide a unique opportunity to test prototypes of tritium breeding modules in a real fusion environment. Within these Test Blanket Modules (TBMs), viable techniques for ensuring tritium breeding self-sufficiency will be explored. 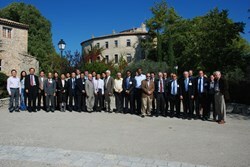 Charged with the governance of the implementation of these modules into the project's scientific agenda, the ITER Council TBM Program Committee came together this week in Cadarache to discuss the program's status and outstanding issues such as intellectual property rights and liability matters, and waste management. 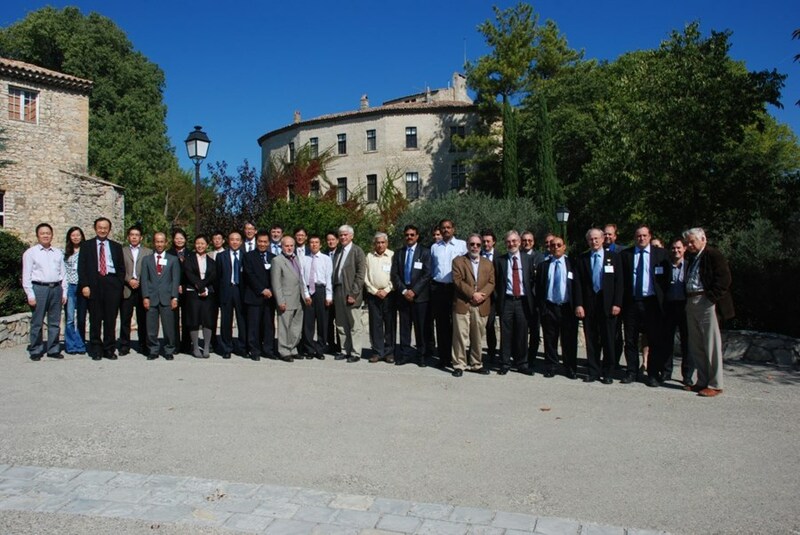 Special focus at this sixth meeting of the Committee was placed on the comments received from the ITER Members relevant to the ITER Organization's proposal for a generic TBM arrangement that was presented at the previous meeting. The generic TBM arrangement will be used as a guideline to prepare each specific TBM arrangement that has to be signed for the procurement of a Test Blanket System (TBS). A specific TBM arrangement would serve as the legal, administrative and technical framework for the implementation and procurement of each of the six TBS that will be tested on ITER. One important conclusion of this meeting was the agreement to share the experimental results and the information on basic design, materials composition and instrumentation. It was further noted that the installation of the TBS has to be performed in coordination with the assembly plan for the other ITER systems. For this reason, it was pointed out at the meeting that the cooling system connection pipes of each TBS should be installed as soon as the nuclear building is completed. The main consequence is that such pipes will have to be delivered in 2015 ... some years in advance of the other TBS components.